This is always an interesting time of year for me. Typically there are a number of things going on that cause me to be quite introspective. The year is winding down, people are starting to take vacation, year-end assessments are being performed and everyone is taking time to reflect on the year that was. For me, I found myself thinking a lot about my team and my career. It’s not surprising that one of the things at the forefront of my mind has been professional development. When we talk about professional development, it’s easy to focus on the mechanics of what we do. It’s also important. Staying on top of modern techniques and tools is imperative if you want to be a true professional. With that said, it’s important that you understand that when you think about your professional development there are a number of things outside of the “X’s and O’s” that are important. Here are some of the things that you want to think about if you truly want to improve and advance your career. Each point could be a full topic to explore but for now, let’s take a look at a high-level overview. My entire career trajectory changed once I understood this concept. I cannot emphasize how important it really is. The reality is that you and you alone are responsible for your own career development. One of the primary mistakes that I see young professionals make is waiting for their manager or some senior member of the team to lay out a step by step guide to professional development. Now that’s not to say that your manager doesn’t play an important role. If you have a good manager they will take interest in your growth and help you identify opportunities that will give you exposure to the experiences or skills that you need to grow. However, I have a secret for you - your manager loves it when you take initiative, accept responsibility, and achieve things without being told to do so. If you are observant and pay attention to what is going on in your space it’s possible to identify “pain points” for your company. This is a great opportunity to step forward, present a potential solution, and get a big win. I found that while I always had helpful managers, no one could drive me forward as much as I could when I took responsibility for my own professional evolution. One of the things that helped me the most with the idea of my personal brand was a book entitled “Be Your Own Best Publicist” written by Jessica Kleiman and Meryl Weinsaft Cooper. There is a chapter in the book called Toot Your Own Horn (but Not Too Loudly). It talks about accepting the fact that you have things to learn and being humble while understanding that you have to play a part in increasing people’s awareness of you and your skills. Sometimes this is as simple as showing energy, enthusiasm, and a positive attitude every day. In all reality, it’s not that simple. Openly communicating your accomplishments, growth opportunities, and goals is critically important. Especially when it comes to the leaders and people in your organization that can act as your advocates. Do you know who should know about your desire to improve and some of your long term goals? Everyone. If you let people know what you’re trying to achieve and show a sincere passion for achieving those goals you would be surprised how many people are willing to help you get there or offer advice. If presented the right way, these conversations show initiative and can make a very positive impression. It’s also important that people know what you’ve accomplished and that you get credit for what you’ve done. People don’t know what they don’t know. If you present your accomplishments in a way that reflects what you learned throughout those experiences and how what you’ve learned can be applied to future endeavors, it can be very effective. Not to overstate the obvious, but nothing changes until something changes. Simple concept, but not a concept that a lot of people think about when they think about their career. If you are staying within your comfort zone and doing the same things that you’ve always done, then there is little opportunity to learn. As I look back at my career there is little doubt to me that it has been the toughest times, the times where I felt like I was really getting beat up that have contributed the most to my growth. It’s during those times where you’re truly given an opportunity to learn and stretch yourself. Challenge yourself to dive into areas that are unfamiliar and I think you will be pleasantly surprised at what you can accomplish and what you will take away from tough experiences. Never stop learning. Once you’ve done that, you’ve said to the world that “I know everything that I need to know.” The truth is that none of us will ever be to the point where we can afford to stop learning. Training, workshops, personal development can seem a little tedious. At the same time, it’s so important to keep picking up things that you didn’t know the day before. This past year I’ve done a lot of that. I now know how to do things that I didn’t have exposure to a year ago. Not only will this help as you go through your career, accomplishing things in new areas can be very rewarding on a personal level. Will Maurer is currently living his dream as the Global Sourcing Manager for General Motors. He believes that Talent Acquisition is the ultimate team sport. 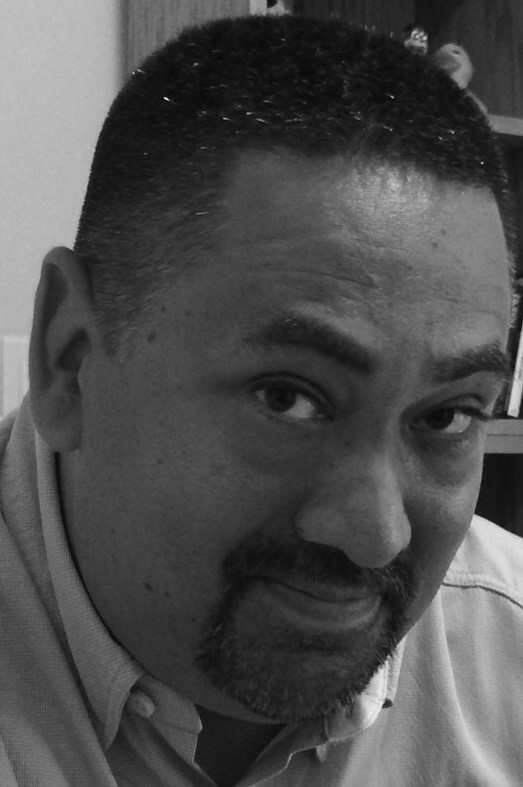 You can find more articles from Will at www.therecruitingnerd.com and he will be presenting at the Spring ERE conference in San Diego. The views expressed here are his alone and do not reflect the opinion of his employer. Ever wonder if there’s a more time- and cost-efficient way to source and screen candidates? To answer these important questions, we spoke to one of the best in the business: Will Maurer, global sourcing manager at General Motors. He offered up some real-life examples and insights on how to expand your sourcing skill set, work more effectively with hiring managers, get the most out of your database — and take your sourcing strategy to the next level. How can sourcers/recruiters work with hiring managers to more effectively deliver better candidates? There are many skills that are required and many techniques that can be leveraged in order to increase your effectiveness when working with a hiring manager. It all starts with cultivating a strong partnership. I emphasize the word “partnership” because I think it’s imperative that you are seen as a trusted advisor and not simply an order-taker. In order to be viewed as a partner, you need to gain credibility. One of the things that can help immensely is ensuring you are prepared for the initial intake session. Simply bringing the job description and checking off some boxes won’t get it done. One of the ways that we achieve this is by acquiring labor market data as it relates to the role and then studying it so we are able to speak to it. It helps establish you as a subject matter expert, shows that you’re prepared, and stimulates higher-level strategic conversations. As W. Edwards Deming said, ‘without data you’re just another person with an opinion.’ Data can be very impactful. It brings validity to your insights, which is crucial when setting expectations or establishing an overall strategy. I think you also need to bring what are commonly referred to as “calibration resumes.” These are resumes that you have identified as possible prospects based on the job description. Walking through these resumes opens a discussion regarding the role, the team, and the requirements and will help you hone in what the hiring manager is looking for. Again, the focus is to gain credibility because the most important thing you can do to work effectively with hiring managers is to ask them to be part of the process. Our goal is to turn everyone in our organization into recruiters, especially our hiring managers. When you think about it, hiring managers are probably best positioned to fill their own roles. 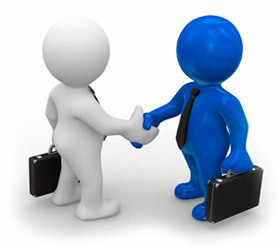 They will typically have a robust network of people that operate in their field if they have been doing it a while. They also have the ability to tell their story and share how working for their current organization has impacted their career. This is very powerful when talking to a potential candidate. Don’t assume that hiring managers automatically know how important they are in the process.Educate them. You can help them tap into their network and establish their own unique value proposition. Once they understand how impactful they can be in the process and how important their contributions are in today’s market, they can be a phenomenal resource. Once you have established that partnership, it’s also important to note that you can’t stop there. Communication, accessibility and follow-through are key in keeping that relationship strong. As a sourcer, how can you get the most out of your database and the tools you have at your fingertips? It’s important to understand not just the tools at your disposal on a surface level, but also the nuances of each tool. This includes features that have been developed to improve your overall efficiency and effectiveness. We have created a scorecard to evaluate our various sourcing tools. Naturally we look at the number of results or candidate profiles that a tool can generate, but we also look at its efficacy within a particular set of skills and any features that streamline or simplify our processes. The idea behind this is that we identify the tools that can have the greatest impact within each functional vertical. This is vital. I think that tool selection and evaluation is an important concept that is often overlooked. It’s easy to get lost in the myriad of products available and find yourself in a situation where you are ‘dabbling’ with many potential solutions instead of maximizing your performance with the key tools at your disposal. I would never discourage trying different avenues and continuing to innovate but I think that you need to establish what tools are going to be at the foundation of your sourcing strategy. Once those tools are identified, it really comes down to being committed to learning the tool and the vendor having the ability to provide continuous education. We put a lot of emphasis on our suppliers being accessible and providing training not just at the time of implementation, but throughout our relationship with that vendor. Having a competent and readily accessible support staff is very important. For someone looking to become a more advanced “modern-day sourcer,” what would you recommend to help expand their skill set? What prompted the “Modern Day Sourcer” were some observations I had made when attending various conferences that were tied to talent acquisition. It occurred to me that in some instances there was a gap between how companies defined a sourcing professional and what I believe is truly needed to be successful in this space. There is no doubt that someone in a sourcing role needs to be a search expert, but I think there’s more than that. The labor market, candidate expectations, and how candidates select employers have evolved since I began in talent acquisition several years ago. Additional skills are required. First of all, it’s important that you are a student of your craft. If at any point you think you have this business completely figured out, then you’re setting yourself up for failure. There are so many resources out there to help keep you informed about our industry. There are websites, blogs, workshops, conferences, certifications, training curriculums, and more. Personally, I make it a goal to obtain a new certification each year. Make an effort to educate yourself and learn something new every day. I would start with your current organization. Educate yourself on how your business fits into the market, how the various business units interact, and how talent acquisition fits in the company as a whole. This goes a long way when trying to gain credibility and present yourself as an advisor. Also, don’t forget about the skills outside of putting together Boolean searches or interviewing prospects. Presentation skills, overall communication skills, the ability to build and document a comprehensive strategy, and adopting a marketer’s mindset are some of the things that are important as you embark on your journey towards being a talent ambassador, educator and strategic partner. When working on these other skills, you need to have the ability to humble yourself, put yourself out there and get feedback from your colleagues. Ask them to observe you. Then ask for feedback and look for common themes. Once you have identified potential areas of improvement, you can formulate a strategy to work on those areas and implement it accordingly. You can also look for special programs to help build these skills. If you’re struggling for an answer, go to your manager and ask for his or her insight. I am always thrilled when a team member comes to me looking for ways to better themselves and we can usually figure something out together. Let’s give some kudos to hiring managers. They are our greatest allies, our partners, and a critical component in recruiting. They can also be a source of frustration at times. I feel fortunate to have worked with many fantastic hiring teams and I truly believe them to be a trusted resource. However, that doesn’t mean that I can’t have a little fun at their expense. With that, I present to you “What they say/What they mean”- the hiring manager edition. What they say: They need to be able to hit the ground running. What they mean: I don’t want to actually manage or develop anyone. What they say: I am going to need 20 more of these filled by the end of the year. What they mean: I have no approved headcount. What they say: We have a work hard, play hard mentality. What they mean: I really have no idea why someone would want to work for me. What they say: I can’t put my finger on it, they just didn’t “wow” me. What they mean: I don’t know how to interview someone. Was that in the handbook? What they say: They couldn’t give me a compelling reason why they wanted to work here. What they mean: Passive candidates are a foreign concept to me. What they say: I need this filled ASAP. What they mean: 3 weeks after your submittal you’ll still be trying to get feedback. What they say: I was on the fence with him/her, I could go either way. What they mean: I’m waiting to hear everyone else’s feedback and then I’m jumping on that bandwagon. What they say: Have you tried _____ job board, my job needs to be on that job board. What they say: It’s always worked in the past. What they mean: I’m living in the past and change terrifies me. What they say: I’m really looking for someone with 2-3 years of experience. What they mean: I need someone who knows what they’re doing but will work for cheap. What they say: I need to see more candidates. What they mean: I’m stalling because I really don’t have any idea what I’m looking for. What they say: I’m not sure that he/she is the right fit but let’s bring them in to evaluate. What they mean: You are about to waste time and company resources. What they say: Do you know what I had to go through to get into this company? What they mean: This person is about to have an awful candidate experience. Ah, the dreaded ATS. Candidate sourcing powerhouse, recruitment trend analyzer, reporting and analytics warehouse - no matter how this behemoth tool was sold to the powers that be, you're stuck with it. Truth: the system is slow. And cumbersome. And not nearly customizable enough to meet your needs. Who cares about reporting when you can barely get through the workflow to process the hire? I have spent nearly a decade as an HR Operations manager supporting large Talent Acquisition teams with all of their ATS-related needs. Why would I subject myself to this? I've tried to move on. But the truth is, there aren't many people who can put up with the daily grind of life in recruiting technology operations - the constant issues, the system latency, the pissed off hiring managers, the conflicts with IT, the battles with the vendor. I've cast attractive hooks for my role. No one bit. I've grown to like my role. Why? Because I know enough to help. The way I see it, my role exists to tell you what your vendors won't. So here it is, eight tips to make your life in ATS-world easier. Mark your positions referral-eligible, even if there is no associated bonus. Doing so will enable the "Refer a Friend" (or similar) link, which will drive referral-based traffic to your posting. Utilize the "add locations" feature on the requisition. This will ensure your position displays in multiple location searches, increasing the visibility of the posting. Post your positions externally and internally, unless policy specifies otherwise. There are few legitimate reasons to withhold posting on either site. Add pre-screening questions to quickly screen out candidates who do not meet the basic requirements. These do not need to be "knock-out" questions, but rather flags you can immediately review to aid in dispositioning the candidate. Include salary and/or salary grade on the posting. Salary grade, in particular, will be meaningful to internal candidates and increase transparency. 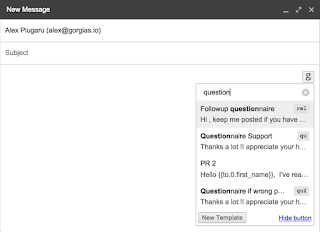 Do sporadic quality checks with candidates. Not getting any response from qualified candidate pools? It is very likely a system glitch. If you suspect there is an issue, reach out to a few candidates of interest to see if they received the system email correspondence. It could be the email never triggered, or it contained a broken link. Whatever the case, obtain the details from your candidate and notify your IT team immediately. Double check your templates. I cannot count how many times I have seen templates incorrectly configured - triggered at the wrong step/status, erroneously linked to a defunct website, swapped with the wrong text. Ensure your star candidates are not receiving rejection letters by double checking your template configuration. Not sure? Contact your IT partners to confirm. Confirm the new hire's start date. Most ATS's require you to uncheck a "tentative start date" box or otherwise confirm a new hire's start date in order to hire the candidate. This is a fail-safe to ensure data flows properly into the HRIS for payroll and onboarding purposes. If the date is not confirmed, you cannot hire the candidate. It is my hope these tips and tricks will reduce your time-to-fill and make your daily lives a little bit easier. Happy hiring! Shannon Starke is a globe trotter, thinker, and day dream believer. A psychology junkie and former nervous Nelly, she writes about empowerment and self-transformation. She also provides advice for job seekers to her followers across the world. 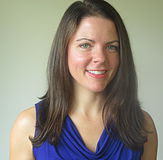 Check out her website at www.shannonstarke.com or follow her @thestarke. In one of my earlier posts, I wrote about five chrome extensions that I found useful in my pursuit of candidates. Since then, my love for these extensions has grown immensely. I have found that not only do they prove to be useful in recruiting, but utilizing them properly has actually improved a number of things about my web browsing experience. Now, I can’t claim to be Dean Da Costa but I’m still a huge fan. For those of you who don’t know, Dean is widely regarded as a sourcing expert and has long talked about the power of chrome extensions. He has published lists of useful chrome extensions that stretch from here until forever. 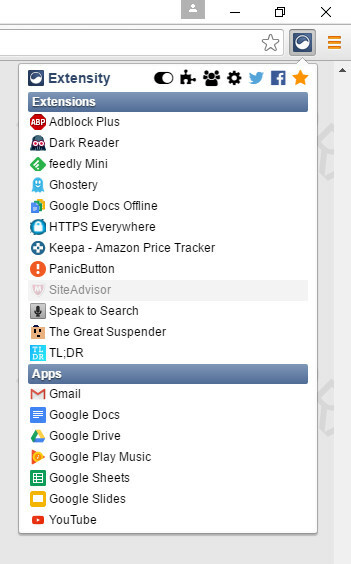 I’m not that deep into it, but I have identified five more chrome extensions that I have found to be incredibly useful. So at this point, I’m going to put my “tech geek” hat on and share some of the free tools at everyone’s disposal that I find quite useful. According to the website Wordstream, Facebook accounts for 21% of all the social media traffic in the world and in any given month, 1.28 BILLION people are active on the site. For many recruiting and sourcing professionals, those statistics are enough to invoke downright giddiness. That’s a huge resource that many folks have struggled to figure out how to tap into. Well, this extension makes the job quite a bit easier. This extension literally walks you through the steps that you need to take to find the people that you’re looking for on Facebook. You can focus on a number of different search criteria, but just the fact that you can target a job title within a certain geographic area makes this a valuable addition to your chrome arsenal. The interface is configured to be very easy to use and it makes a great compliment to your everyday tools. E-mail Hunter does exactly what it says it’s going to do. 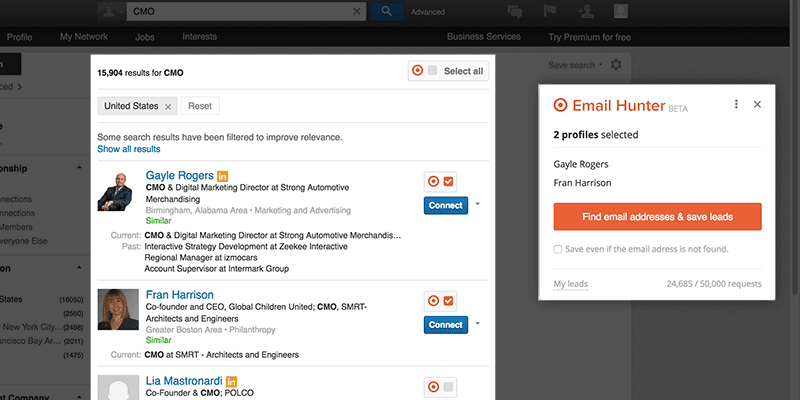 It locates personal email addresses for people. This extension can be used with a variety of different social media sites. Of course, LinkedIn is one of my favorites. When I can find an e-mail address or any other contact information outside of your typical InMail, it’s like gold. This tool will also identify e-mail patterns that are associated with various organizations and make educated “guesses” if it isn’t able to verify an address. To give you an idea of what you’re working with, the extension will tell you how certain it is that it has the e-mail address correct. Utilize this tool with a tool such as MailTester and you no longer have to rely on InMails for all of your communications. For many talent acquisition professionals, it is common practice to put profiles, candidates, and resumes into working folders. They do this for a variety of reasons. Obviously keeping your efforts organized increases your efficiency but the real value lies in the ability to re-visit pipelined candidates and share information about these candidates with other team members. 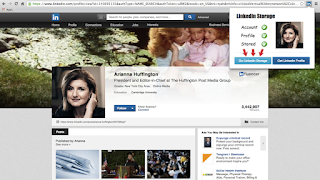 LinkedIn Storage allows you to save LinkedIn profiles to your own personal web page. In addition, you can add “tags” putting these candidates into various categories that will make them easy to identify later. 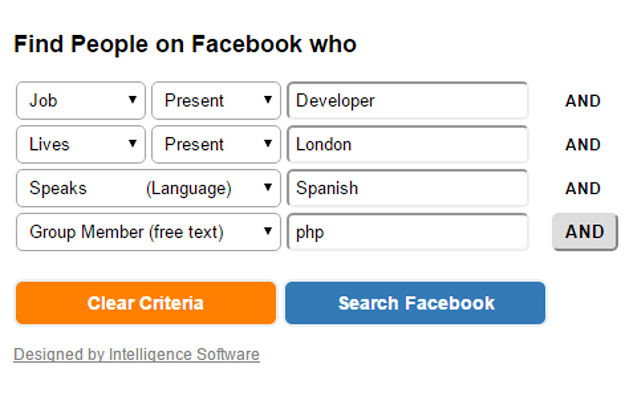 In the absence of a LinkedIn Recruiter account, this tool is a must have. If you visit the Gorgias website, it will simply state that the extension gives you the ability to “Create text templates and insert them with shortcuts in Chrome”. This handy chrome extension gives you the ability to create customized messages, store them as a template, and access them instantaneously, which greatly improves your efficiency. The best part is that Gorgias integrates with a variety of commonly used tools. This little extension can save you time on the keyboard and get you back to hunting down those hard to find candidates. Once you delve into the world of chrome extensions, things can get a little messy. 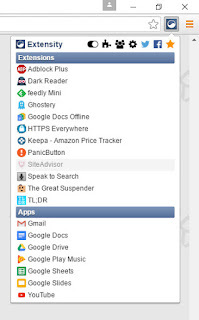 Your toolbar can get cluttered, you struggle to keep everything organized, and find yourself having to disable/enable chrome extensions on a consistent basis. Well, for that we have Extensity. Extensity takes all of your chrome extensions and puts them in one, easy to use package. Most importantly, you can eliminate the vast majority of chrome extensions on your toolbar and access them easily through extensity. Previously I was hiding chrome extensions in the Chrome menu to keep my toolbar clean which proved to be clunky and a bit confusing. With extensity, that’s no longer an issue. Well, another year is upon us and I find myself reflecting on the year that was. I spend a lot of time thinking about my job, talent acquisition, how I’m going to find that next “purple squirrel”, and how I can get better as a professional. One of the things that I’ve thought about quite a bit recently is change. As I look at Talent Acquisition and what it takes to be successful, there are some rudimentary ideas that will always be at the heart of my profession. For example, it will always be a people-first business. Every year we find new ways to find candidates and more creative ways to contact them. I’ve seen people dedicate chunks of their lives developing the latest and greatest algorithm for identifying people with highly sought after skill sets. Yet, despite all of their ingenuity, these people are rarely successful in their roles. Technology can’t get in the way of what matters most – the fact that there is a living, breathing soul attached to that resume. That individual that you are pursuing because of the keywords on their resume has dreams, goals, family to care for, and personal circumstances that have a direct influence on decisions they make. This is at the heart of what we do and the faster we understand that the more results we will see. With that said and with the understanding that some things will never change, I think even more dangerous is the unwillingness to change at all. I don’t want to shock anyone, but the world is constantly evolving. The way that you do things today is not the way that your parents probably did them. Heck, the way you do things now is probably different than how you did it 5 years ago. I watch ESPN on my phone. I get e-mails on my watch. An application allows me to ask for a ride and someone shows up at my front door with their car. I have bank accounts but haven’t been inside of a bank in probably 3 years. You get the idea – times change and we must change with them. One of the biggest things that I see as an obstacle to effective recruiting is an organization that is unwilling to change. An organization that adopts the attitude that “we have always done it this way” and “it has worked for us in the past” puts themselves at a serious disadvantage. I’ve seen this occur enough to know that it will always be a detriment to obtaining and retaining top talent. These numbers are staggering when you take a closer look at them. They are estimating that over the course of the next decade, 2 million manufacturing jobs will go unfilled due to a lack of qualified workers to fill those roles. If you work in Talent Acquisition then you know that the impact of this is already being felt. The fact is that the balance of power has shifted to the candidate. Candidates have more options than ever and the ramifications are seen throughout various industries at the moment. Progressive Talent Acquisition organizations will adapt and get in front of this. They will understand what this shift in power means. Every single qualified and skilled worker that is lost throughout the hiring process is a major loss that is becoming harder and harder to make up for. The “old way” of doing things will not suffice anymore. There are a number of topics that we could break down and delve into as we look at potential solutions. In fact, I plan on writing about that in more detail in the near future. However, I believe that it’s safe to say that speed, adapting to the idiosyncrasies’ of the current workforce, employment branding, and candidate experience are things that need to be taken to the forefront and examined closely. Here are some critical “watch outs” or things that I have seen be extremely detrimental to an organization’s ability to land the best of the best. 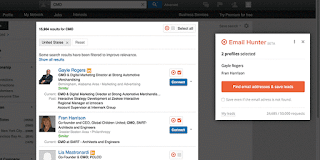 · Antiquated selection tools – This one will drive any talent acquisition professional crazy. We have all worked with a member of an interviewing team that is determined to utilize a test or pop quiz that they made up because they believe it’s the only way to evaluate an individual’s fit into their team. Here are some things that you need to ask yourself before getting caught in this particular trap – “what is the goal of this exercise?”, “has it been validated?”, “Is it used consistently across hiring practices?”, “what kind of experience does it create for the candidate?”. Those are just some examples. The truth is that consistent, targeted, and validated tools are going to be the best ones to utilize. 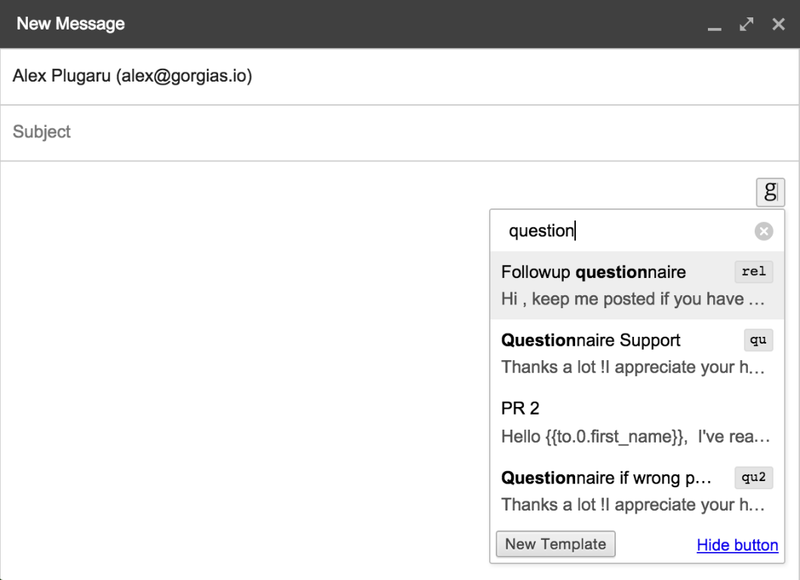 Heck, even Google (famous for quirky questions) has gone to a more standardized, structured questions approach. · Pride – Simply put, this one is all about an individuals or an organization’s ego. The “Hey, we’re ______, they should be beating down the doors to get in here” approach to hiring is well, it’s short sighted and is going to stand in the way of your hiring teams being effective. Remember, the balance of power has shifted. That’s not to say that as an interviewer that you can’t ask tough questions or thoroughly evaluate a candidate. It means that in addition to evaluation, each interviewer needs to take a few moments to explain to a candidate why their opportunity is a great opportunity and what makes their company unique. If extra time needs to be built into the interview process, then so be it. Tell your story, share what motivates you. Again, these candidates have options so it’s important to let them know why they should consider working as part of your team. · Failing to pay attention to the candidate experience and social media – I know that if you have been in the workforce for a long time you may not be enamored or may even be annoyed with social media. Trust me, I get it. I love utilizing it but I understand why some people can find it tedious or annoying. However, the reality is that it has never been easier for us to share information and do it quickly. This includes candidates sharing their experiences as they go through the hiring process. Web Sites such as glass door allow people to see the thoughts and opinions of employees and candidates and this can have a powerful impact on someone’s opinion of a company and potential career opportunities within that company. Social media content should be monitored and employees encouraged to participate. Of course, the most important piece is that you do everything to ensure that the candidate has a good experience whether they are ultimately selected for a role within your company or not. · Using 1970’s thinking in 2016 - As mentioned earlier, the world today is different. People are different. The workforce is different. According to an article by Jeanne Meister of Forbes entitled “Job hopping is the new normal for Millennials” the average worker today stays in each job for 4.4 years. However, 91% of millennials expect to stay in each job less than 3 years. In other words, employees today are becoming avid “job hoppers”. Traditional thinking would tell you to immediately pass on these candidates but in doing so, you may be passing on a talented individual that can have a significant impact on your business. That’s not to say that the concerns with job hopping aren’t valid. There is a significant cost associated with losing an employee and when someone moves around that much you have to question their ability to function within teams. However, I would argue that it’s worth the investment to dig into any areas of concern during the interview process and not just immediately discount someone based on a few lines on their resume. While we are talking about the new workforce, I think we should address proper interview apparel as well. This has changed a great deal over the years. Myself, I am still a bit of a traditionalist. I think that you should put your best foot forward when interviewing for a job. However as more and more companies move to a business casual dress model, you see the expectations of candidates change when it comes to what to wear to an interview. The thing that I think can hold you back the most is looking away from someone with a unique and highly sought after skill set simply based on attire. Those are some of the pitfalls that I have encountered in my career. There are more and we could certainly delve into a number of different areas. The important thing to remember is that candidates have options and we need to be conscious of how we treat them. Will Maurer is an average guy with a passion for Talent Acquisition. His opinions are strictly his own and do not necessarily reflect the opinions of his employer. You can find Will’s random thoughts at his blog www.therecruitingnerd.com. It’s happened to all of us. If you have spent any significant time in the world of Talent Acquisition then you have been there. Candidates do crazy things. Hiring Managers make baffling decisions. You’re not getting the feedback that you need. You watch as the various parties involved in hiring and onboarding a candidate seemingly do everything in their power to sabotage your efforts. Your frustration grows. You are in a slump and it appears to you that everything you touch falls apart. Under these circumstances, it can be difficult not to complain. It’s human nature. The easiest thing to do is point fingers, apply blame, and complain to your colleagues at lunch. You feel the pressure, the stress. I have been in this situation more than once throughout my career. Sometimes I handled it well, sometimes I didn’t. I ultimately discovered that there are many things you can do, but what is of the utmost importance is that you take responsibility and have the ability to look at yourself first. Positivity is a must as well. Here are some things to think about or do the next time you feel like you’re in a similar situation. The “R” factor is simply relationships. I could go on and on about the importance of relationships not only in business but in every facet of life. This is a golden opportunity to look at yourself first. Many times throughout the recruiting process the influence that you are able to have and the responsiveness of the various parties involved comes down to the relationship that you have cultivated with them. It’s important to ask yourself “what have I done to nurture a mutually beneficial partnership?” There are many ways to increase relationships and everyone has different styles. I recently came across an article in psychology today that I thought provided some great food for thought when reflecting on this. For me, some of the common themes have been effective are over-communicating, seeking to understand things from their perspective, being a partner, and being human. Too often we forget that in the rough and tumble world of corporate America, we are all still just people. Focus on building relationships with those that create challenges for you and you will see an increase in your ability to get the results that you desire. People don’t know what they don’t know. It’s true. Too many times I have made the mistake of assuming that a hiring manager or someone involved in the hiring process knows things that are basic to me when in reality, they are still learning their role as an evaluator of talent and hiring decision maker. You will also run into quite a few scenarios where these people think they understand the labor market, the best ways to attract talent, and what makes a good interview, when in fact, they shooting themselves in the foot because of what they don’t know. You as a true talent advisor are the subject matter expert and it’s important that you understand that and adopt that role. It’s no secret that the talent acquisition landscape has changed drastically over the last few years. It’s highly unlikely that your hiring teams have kept up with all of the changes. Every meeting should include a little education and level setting with your business partners. Again, the better your relationship, the easier this is to do. It’s also important that you bring facts and data to these conversations, not just opinions. Quotes or statistics from trusted resources gives you credibility and exposes you as a true subject matter expert. There is no doubt that everyone involved in the recruiting process is important. If the people you are working with have misconceptions or don’t know things about the hiring process, that’s on you. A true partner will ensure that everyone involved has what they need to be successful. This is important. The absolute worst thing that you can do when things aren’t going your way is to focus on the negative and spend valuable energy complaining. The reason is simple - it doesn’t solve anything. It simply doesn’t accomplish anything at all. This concept is easy to understand but it can be hard to execute when you are frustrated. It’s imperative that you don’t fall into this trap.You need to spend your time and energy identifying the root cause of your frustrations. It could be many things - a fractured relationship, a misunderstanding, lack of urgency, a broken process. From there, it’s important to think about what you can do to solve these issues. What part can you play? What can be implemented that would help remedy the problem? This is not only important in terms of keeping yourself from becoming too negative, it’s a huge part of the relationship building process. If you are a chronic complainer, people are going to back away from you. It’s going to hurt your personal brand in their eyes. However, if you are solution orientated it shows that you have resiliency, mental maturity and that you are invested in the betterment of their team or the company as a whole. When you bring up a problem, it’s important that right behind that, you have a suggestion for a solution. If you have been spending your time really honing your skills as a talent advisor, then you are well equipped to address issues before they become issues. You have your experience, market data, competitive intel, and a number of resources at your disposal. You probably understand the pitfalls associated with attractive and ultimately landing top talent. From the moment that you take on a requirement, you should be evaluating every aspect of the process, educating your hiring teams, and addressing anything that may serve as a bottleneck. Granted, you can’t always see what’s around the corner and there’s no doubt that people will surprise you with some of their actions. Nevertheless, trying your best to get in front of issues before they become points of frustration can help you immensely in the long run. Talent Acquisition isn’t as easy as some people make it out to be. It’s full of challenges, it takes a unique set of skills, and it’s a lot of work. Be resilient. While it isn’t always easy it can be a lot of fun as well. Focus on the positive, take responsibility for every aspect of the process and focus on healthy relationships. Doing this will result in a much happier and fulfilling career.